Rotary Screw Compressor Overhaul and Repair - Industrial Refrigerated Systems Ltd. When your screw compressor stops working as it should or breaks down, repair or overhaul can be a more cost-effective solution than purchasing a new one. Industrial Refrigerated Systems Ltd. can restore your screw compressor, regardless of its make and model, so that it looks and operates like brand new. IRSL has over 20 years of excellent customer service and satisfaction. We know how critical it is to get your system operating again – and fast! That’s why we aim to repair your rotary screw compressor as quickly as possible. Industrial Refrigerated Systems Ltd. is committed to delivering reliable rotary screw compressor overhauls and repairs. Contact us today! A technician will get back to your shortly to personally discuss your needs. 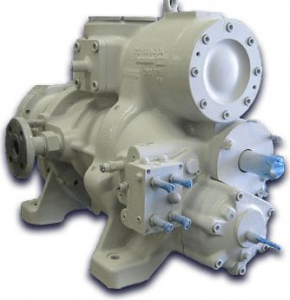 Our experienced contractors will remove your screw compressor from its base and prepare it for shipping. Our team of expert technicians will repair and overhaul any make screw compressor on time, and at the quoted price. When your screw compressor has been repaired, our team will install your unit for you. All of our rotary screw compressor repairs have a standard inspection and replacement program that covers all the fundamental elements of overhauling your unit. REQUEST A SERVICE CALL REQUEST A SERVICE CALL A technician will come and look at your system. REQUEST AN ESTIMATE Get a quote on an industrial refrigeration system.